El Palace Hotel has been totally refurbished and opened again in late 2009. The works have preserved the classic spirit that has always characterized this property, distinguished as a symbol of Barcelona’s hotel tradition. Set in the heart of the city center, close to Las Ramblas and in the most prestigious shopping area, it is surrounded by boulevards, boutiques and main attractions. 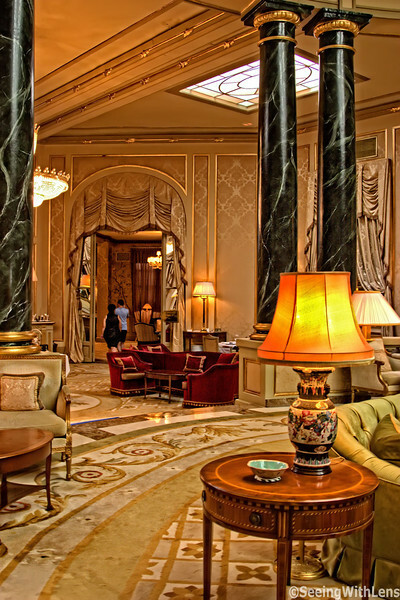 Fist opened in 1919 with a neo-classical façade and grand public areas , considered Barcelona's most distinguished iconic hotel for over 90 years , the hotel reopened with 125 new rooms , 42 of them being Suites and Junior Suites. A new room design, a soft interior re-decoration of public areas and lounges and the realignment and optimization of the architectural infrastructure enhance the beauty and majesty of our Hotel like in the 20’s. The Caelis Restaurant, awarded with a Michelin Star is part of El Palace, with a full offer of top-class cuisine. Clients can also enjoy our 19/NINETEEN Restaurant located at the Hall of the hotel and the emblematic cocktail bar Rien de Rien. El Palace has launched the Mayan Luxury Spa and Fitness Room, a unique spa with a Temazcal Sauna, exclusive in Europe .